The government needs to focus on meeting the Trinidad and Tobago Coast Guard’s urgent requirements for fuel so that their existing assets could be put to optimal use rather than squander funds on procuring an additional patrol boat from an Australian company. The Trinidad and Tobago Defence Force officer corps has a challenging task at hand to preserve the operational capability of the force as well as address the genuine concerns being expressed by their subordinates. Air power has long been recognised as a useful asset in internal security operations, running the full gamut from militarised counter-insurgency (CI) and counter-terrorist (CT) operations to the mundane task of crowd control. In the last 15 years, the archipelagic state of Trinidad and Tobago has made extensive use of air assets for internal security operations, with mixed results. In the process, some lessons have been learnt and some serious mistakes made that can be instructive for even large countries such as India. It is difficult for India’s aviation sector to replicate EMBRAER’s success without perhaps a reorientation of priorities. While Uruguay has been able to preserve the combat capability of its armed forces despite budgetary restrictions, it remains to be seen whether this can continue without substantial infusions of money for capital acquisitions. Paraguay’s military faces the twin challenges of maintaining internal and external security, and fighting narco-trafficking while facing bloc obsolescence of its existing assets. 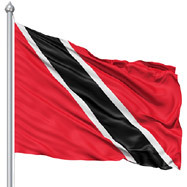 Despite a well-integrated Muslim population, and an environment where there is no tangible discrimination or lack of opportunity, the Jihadist ideology has succeeded in taking root in Trinidad. Links with organized crime have helped fuel the movement and strong links have been forged with ISIS and Al-Qaeda with the result that at least 89 Trinidadians are now in Syria. It is also argued that some Trinidadian Muslims have succumbed to the messages broadcast by ISIS and that the lure of fighting for an Islamic Caliphate has found resonance. This paper seeks, from a Latin American perspective, to examine India's relations with the Latin America-Caribbean region. It makes a distinction between the hesitant and somewhat apathetic approach of the Indian government towards enhanced ties with the region and the rather more proactive and enthusiastic approach by the Indian business sector which has seen Indian trade with the region growing many fold and increasing at the same rate as China's. Post the decommissioning of the Sao Palo, to be completed by 2020, not a single South American navy will operate an aircraft carrier, perhaps reflecting the relative military decline of the region as well as a recognition that carriers can be expensive prestige projects that are quite ineffective in combat.